New research from a team of scientists at McMaster University suggests that brief exercise breaks during lectures can help university students focus their attention, retain information and improve overall learning. While the benefits of exercise are well-known for school-aged children, this is the first study to examine the benefits for adult students. The findings are published online in the Journal of Applied Research in Memory and Cognition. For the study, researchers examined three groups of first-year Introductory Psychology students, who were tasked with watching a 50-minute online lecture. One cohort performed a series of brief, calisthenic exercises at regular breaks during the lecture, another took breaks but played a video game, and a final group did not take any break. 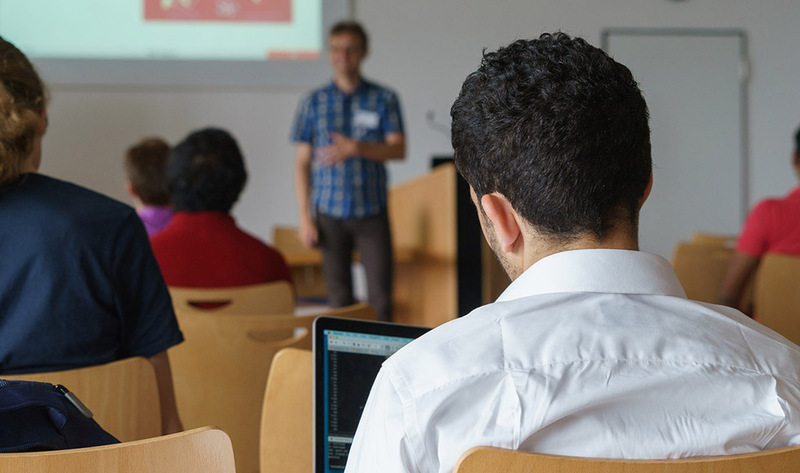 When tested, researchers found that the students who exercised paid more attention throughout the lecture, which translated into improved comprehension of the material both immediately afterwards and 48 hours later. “Our attention has limited capacity and we all know that staying focused is critical for learning during a lecture,” explains Jennifer Heisz, an assistant professor in the Department of Kinesiology and senior author of the study. “The classic lecture remains the primary mode of content delivery in most university courses, so determining effective strategies—in this case exercise breaks—to help maintain attention may promote better learning,” she says. “It should all begin at the elementary level, where growing pressure for schools to excel on standardized academic tests has led to cuts in physical education to make more time for subjects such as math and reading,” says Barbara Fenesi, lead author of the study and postdoctoral fellow at McMaster. “Moving forward, we’re examining how best to help schools incorporate exercise breaks throughout the school day to enhance the learning potential of their students,” she says. Next, the team hopes to determine the ideal intensity and number of exercise breaks that optimize learning. That work will be led by McMaster graduate Michelle Ogrodnik. “Our ultimate goal is to create prescriptive instructional guidelines and toolkits for instructors to incorporate exercise into classrooms to optimize academic success for students,” says Heisz. New research from a team of scientists at McMaster University suggests that brief exercise breaks during lectures can help university students focus their attention, retain information and improve overall learning. While the benefits of exercise are well-known for school-aged children, this is the first study to examine the benefits for adult students. The findings are published online in the <em><a href="https://www.sciencedirect.com/science/article/pii/S2211368116301929">Journal of Applied Research in Memory and Cognition</a>.</em> For the study, researchers examined three groups of first-year Introductory Psychology students, who were tasked with watching a 50-minute online lecture. One cohort performed a series of brief, calisthenic exercises at regular breaks during the lecture, another took breaks but played a video game, and a final group did not take any break. When tested, researchers found that the students who exercised paid more attention throughout the lecture, which translated into improved comprehension of the material both immediately afterwards and 48 hours later. “Our attention has limited capacity and we all know that staying focused is critical for learning during a lecture,” explains Jennifer Heisz, an assistant professor in the Department of Kinesiology and senior author of the study. “The classic lecture remains the primary mode of content delivery in most university courses, so determining effective strategies—in this case exercise breaks—to help maintain attention may promote better learning,” she says. “It should all begin at the elementary level, where growing pressure for schools to excel on standardized academic tests has led to cuts in physical education to make more time for subjects such as math and reading,” says Barbara Fenesi, lead author of the study and postdoctoral fellow at McMaster. “Moving forward, we’re examining how best to help schools incorporate exercise breaks throughout the school day to enhance the learning potential of their students,” she says. Next, the team hopes to determine the ideal intensity and number of exercise breaks that optimize learning. That work will be led by McMaster graduate Michelle Ogrodnik. “Our ultimate goal is to create prescriptive instructional guidelines and toolkits for instructors to incorporate exercise into classrooms to optimize academic success for students,” says Heisz.